Can Music Effect Sentencing for a Crime? Neftarti Nunez spotted some cops as he was leaving a popular bar. He immediately threw away a pistol he was carrying. The police caught him and found the 9 mm Glock and some Percocet for which he did not have a prescription. Nunez knew he was guilty and pleaded as such to two counts under U. S. law: possession of a machine gun and possession of that gun and ammo by an illegal drug user. The usual sentence for these crimes is 24-30 months in jail, which is what Nunez had expected to be his sentence. Instead, a Boston judge singled him out for what the judge says enhanced his crime: his choice of music. Nunez’s band, Pacho and Cirilo, perform music that is part rap, part Caribbean rhythm, and is popular in the inner city, which is where Nunez lived. In his trial, the probation officer included some of the lyrics to the music, which according to reports, “promotes violence, drugs and the use of weapons and violence”. Nunez’s attorney argued that an artist rapping about violence doesn’t mean he is encouraging people to commit violence. The judge disagreed and sentenced Nunez to 8 years in prison. Nunez and his legal team appealed the judgement. Does it violate a musician’s constitutional rights to use his lyrics against him in a court case? 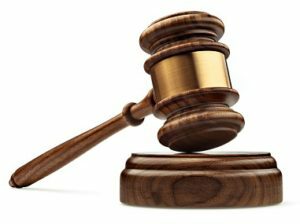 The appeals court decided that the lyrics could not be used against Nunez, and overturned the district court’s ruling. Three months later, Nunez was resentenced to only 36 months in prison. How far do you think a judge should go when ruling in a case like this one?